Making First Aid accessible to all. 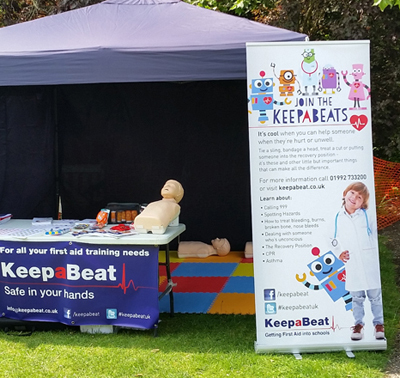 KeepaBeat was designed and developed by First Aid expert Sam Mackay and has been overwhelmingly successful in Hertfordshire for the last 7 years and it is no wonder that it is quickly becoming a Nationwide brand. KeepaBeat's unique First Aid programme covers all your baby first aid needs; choking, CPR, Asthma, Sepsis, seizures, bumps, bruises and bandaging cuts. We run warm and inclusive classes that go the extra mile to ensure that you leave us satisfied that you have a grasp on all of your babies first aid needs. We also offer a network of ongoing support so that all you new parents, grandparents, uncles, aunts and carers know what to do in the event of an emergency. Our parent first aid class and our brand new children’s first aid class are proving particularly popular with the NCT and local Children’s Centre’s. Our focus is on teaching First Aid to those involved with small children and we are incredibly passionate about it too. Nearly half of expectant parents (44%) have not learned basic First Aid in preparation for the arrival of their baby and one third of all parents have had to rush their children in to hospital at some point. Far too many of us are too scared to deliver the life saving First Aid care that is needed to save lives and a recent survey showed that 82% of parents would not know what to do if their child fell over, started to choke or was burnt. It is this that drives us and we won’t stop until we make sure our precious little ones are in the safest hands. Our two hour course covers all the key facts of baby first aid and toddler first aid. New parents and experienced parents, Grandparents and carers alike will feel reassured by this brilliant course. This course can be delivered in your home – so invite all your friends and family over and learn these crucial life saving skills in the comfort of your own home or find a course local to you HERE! This two hour course focuses more on your toddlers and older children. We cover Child CPR and AED, child choking, recovery position, asthma, allergies, wounds and bleeding, broken bones, poisoning and sepsis. Our parent PLUS course serves as an excellent follow on course. This one day first aid training course satisfies the requirements in line with current Ofsted and Early Years Foundation Stage guidelines for nannies, au-pairs, school support staff and voluntary workers who do not require the full two-day paediatric first aid training. All delegates are invited to attend a FREE yearly first aid refresher session for the duration of their certificate. This is a two day first aid training course for Childminders, Early Years Practitioners, School staff, Teachers or any one wishing to complete an in depth training course. This course satisfies the requirements for the compulsory Ofsted register and early years foundation stage. 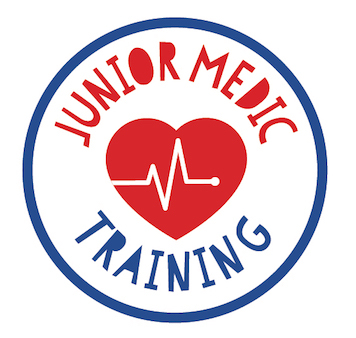 This superb course teaches our children (age 4-11years old) to be lifesavers, covering 999 calls, spotting hazards, CPR, choking, and lots more. During each session children will be introduced to our junior medic team called The KeepaBeats. Each member of the KeepaBeats has an important message to teach your child! Your kids will be raving about this course that could well save your life. Meet the team HERE! As a requirement of the Health and safety executive (HSE) all workplaces should complete a first aid risk assessment. KeepaBeat delivers a range of first aid at work courses including the one-day Level 3 Emergency First Aid at Work and the three day Level 3 First Aid at Work qualifications. All Ofqual regulated courses are accredited through our awarding organization TQUK (Training Qualifications UK). We can deliver onsite training as well as running courses in various locations across the uk. KeepaBeat are now offering the Level 3 Certificate in First Response Emergency Care (RQF) FREC courses. The qualification is approved by Qualsafe Awards and endorsed by The Royal College of Surgeons of Edinburgh - Faculty of Pre-Hospital Care (FPHC) and fulfils the competencies set out in the PHEM skills framework at descriptor level D.
KeepaBeat is soon to launch a full suite of mental health first aid courses. Mental Health First Aid for primary schools and secondary schools will be available to book from September 2018. Mental Health First Aid for workplace courses shortly after. For more details please contact us! KeepaBeat is a First Aid programme that has been specifically designed to teach First Aid to Parents, Carers and Childcare Professionals in a simple and memorable way. This group of people are often time poor and may be worried about other things, we deliver a course in a way to help them retain critical key information to help them until an ambulance arrives. In order to set ourselves apart from the First Aid crowd we are training each of our First Aid Trainers to a standard above and beyond most if not all of our competitors. This ensures we have the best trainers and also means we will be able to move into new areas of First Aid quickly in this fluid market. We offer hands on practice, which is vital for the retention of key information, and with a guaranteed 1 manikin per 2 customers we guarantee you will spend lots of time honing your skills. Anyone who has met or trained under our founder, Sam Mackay, will have experienced first hand the passion, care and attention to detail that is quickly making KeepaBeat the stand-out First Aid company in the country. Would you like to run your own business or join a local KeepaBeat team as a trainer?